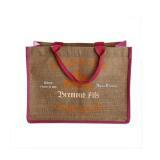 This personalized tote wine / bottle bag is suit for two bottles. 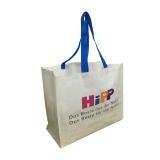 The bag is made of non woven PP material, easy carrying, fold. 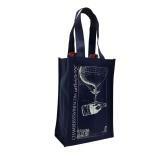 This non woven wine / bottle bag can be customized if you want some tote bags for four bottles or six bottles. 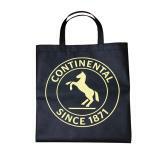 This tote shopper is made from 210D Polyester, Reusable and Durable. 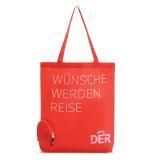 The bag is very convenience to carry when you go to Supermarkets, Fresh Markets due to it have a pouch on the frond. 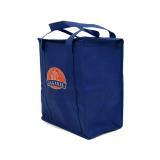 Custom jute shopping bags, reusable bags, grocery bags manufacturer and supplier. Natural Jute bags are very popular in green life style people. No plastic, no pollution, no carbon. 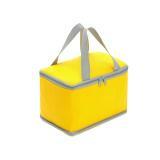 This small insulated lunch cooler bag is made of durable Polyester material. 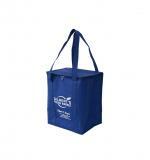 Tote insulated cooler bags are great giveaways in promotion events, exhibition, trade show, festival activities, annual celebration and etc..
We produce and supply a various of personalized insulated cooler bags, inculde Cooler Bags Beer, Cooler Bags Food, Lunch Cooler Bags, Cooler Bags Frozon Food and etc.. 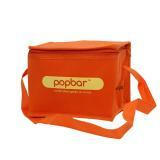 This cooler bag can carry 6 pack of 330ml bottle, most suitable for Beverage & Beer Promotion. 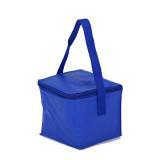 This cooler can keep your healthy salad in well condition about 2-3 hourse. 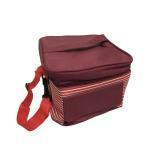 You could put your healthy salad into this cooler when you go to Gym. Thus, you still could have the tasty salad.